Hannah Peel and Will Burns have recorded an album like no other and Getintothis’ Rick Leach chats to them about a unique collaboration. There’s a silence. A gap in the conversation. 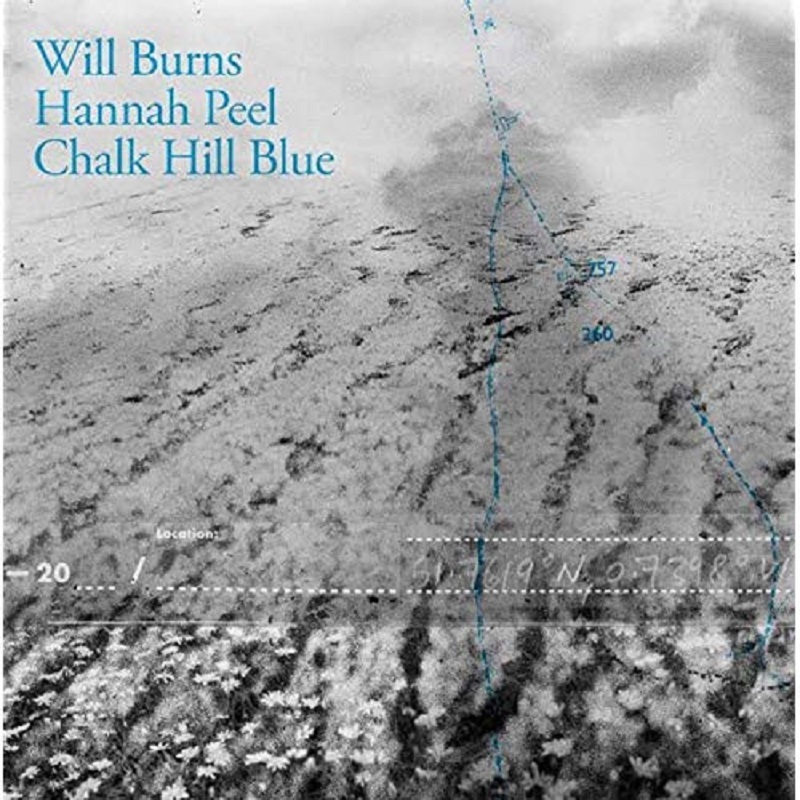 I’m chatting with Hannah Peel and Will Burns about their new album Chalk Hill Blue and I ask a question that I don’t know the answer to. It’s a question that’s been puzzling me since I first heard the album. Something that’s been playing on my mind, something that’s been nagging away. None of us has anything. This is the thing about music. Or art really. There’s an infinite range of possibilities. Of how we express ourselves and how we communicate. You can immerse yourself in music and art. You can spend a lifetime; years and years, days and days, hours and hours. Every second. Losing yourself in it. And you may think – no, you know– you know you’ve heard everything. Nothing would surprise you anymore. That’s sometimes how it feels to this writer. I must have been listening to music every day for the past forty years or more. Maybe even fifty. There’s not a day gone by when I’ve not been listening to music. Not hearing it, but listening. So, to over-use a cliché, you think you’ve heard it all. You’ve heard it all before. Any new music (or any form of art for that matter) is merely repetition, variations on a well-worn theme. But this is the thing about music. Because of the near endless possibilities, then every so often something turns up which jolts you out of any complacency, something which raises an eyebrow. something which jars and delights, disrupts and enchants. Something which may only happen every once in a while- and it might be years before it happens again- but it’s something that makes you understand once again why you love music so much. And that’s what we have with Chalk Hill Blue. It’s a record that opens up possibilities and shows a different way forward. Something unique and uniquely different. That’s why we were all left scratching our collective heads. 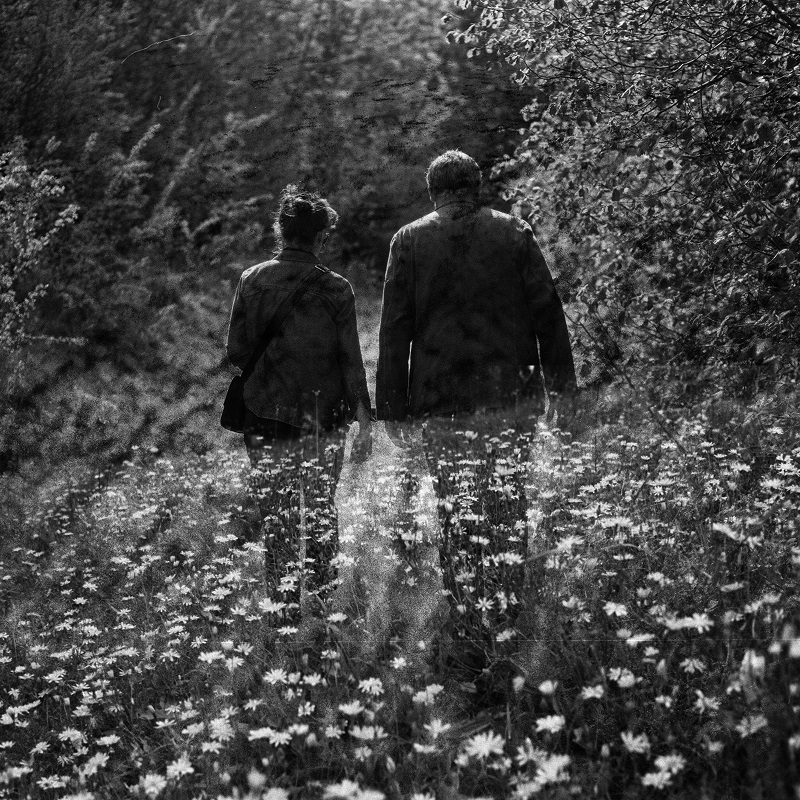 A record of electronic ruralism, a collaboration between award-winning poet Will Burns and composer and member of The Magnetic North, Hannah Peel, Chalk Hill Blue sounds like nothing I’ve ever heard before. Poetry and music and going together seems pretty obvious, I ask, but the way you’ve done it seems so different- or rather the way it’s turned out is so different- how did you do it? ‘If you like somebody’s art and you like what they do then you’ve got no idea where it’s going to go. I think it’s safe to say that when Will came to the studio for the first time then we didn’t know what we were going to make.’ Peel comments. Burns and Peel first came together when actor Christopher Eccleston read one of Burns’ poems at the launch of Peel’s Awake But Always Dreaming album. For both of them the words and music appeared to be a perfect fit and seemed to dovetail together as if it was something predestined. However, it took a while for them to work alongside each other. Time, work and personal commitments stood in the way for over a year. I pose the question that it was a matter of things evolving and taking a natural course. Burns agrees and explains that when they first met their shared experiences of writing about dementia and memory loss and in Peel’s case, specifically writing about memory loss in relation to music drew them together. ‘Although the first song we recorded in the studio was based on that, we quickly moved onto…’ He pauses ‘slightly …different terrain, if that’s not to use a too laboured phrase!’ Quite apt and quite ironic, considering the whole album is centered around different concepts of place. It’s refreshing to know that despite both of them making very considered and serious art and being very serious people, they’ve both got a good sense of humour. They are very different people though and maybe this is why it works so well. Hannah Peel is open and effusive; Will Burns answers every question with care, seemingly weighing up the words in his mind before he explains. Maybe that’s something inherent to do with his craft and the importance of words themselves. although maybe I’m reading to much into it. Still, when I ask whether they came to a point in the making of the album when it all coalesced, their differing responses are telling. 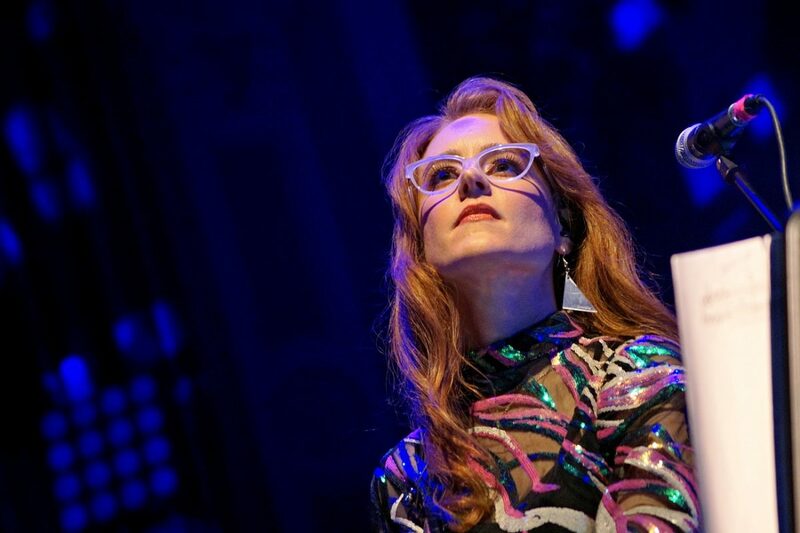 Hannah Peel laughs and says it they just carried on and on as it was so much fun; for Will Burns, it was different. He hesitates and I can hear him casting his mind back to a specific point in time. 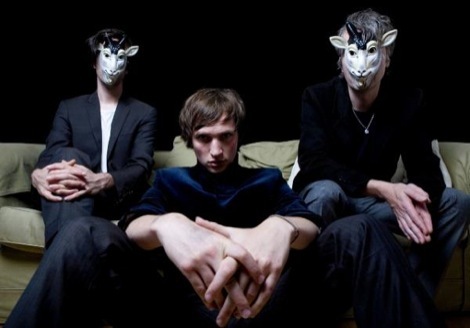 Burns explains that after the first recording session he came back into the studio and Erland Cooper and Peel played him an long instrumental track they’d been working on. It was at this point he says that he realised that they had something that was a whole. Something that made him stop and think that it all made sense. It became an album which somehow tied everything- the words, the music. the poetry, the sounds – together. This is why the record works so well. It’s the coming together of two different artists, each of them bringing along their ideas and thoughts and despite working in completely different fields, starting with no preconceptions – or even great expectations to be honest- to produce something that’s akin to alchemy. There’s glittering gems of magic made out of the melding of words and music and for Peel that was partly down to the time that they’d spent on it. She explains that it was only when they were mixing the album and were looking for reference points to see if it sounded similar to any other records that they couldn’t think of any. There were no records that had spoken word poetry and electronic music working together that sprung to mind and certainly none where it didn’t feel as if the words were just backing for the music or vice versa. So it wasn’t just me that felt like this then. Poetry and music on one record gives the impression of some godforsaken hippy incarnation from the late sixties or early seventies; an embarrassing early T- Rex album with references to pixies, elves and mystical sub-Tolkien lands. I can safely assure you Chalk Hill Blue is thankfully far from that. I put it to them that Chalk Hill Blue, being the instrumental title track and the middle track of the album is a sort of pivot which leads onto to the final track, February, where Burns reads one of his poems alone and without any musical accompaniment. I wonder if they considered them as solo tracks. They both disagree. 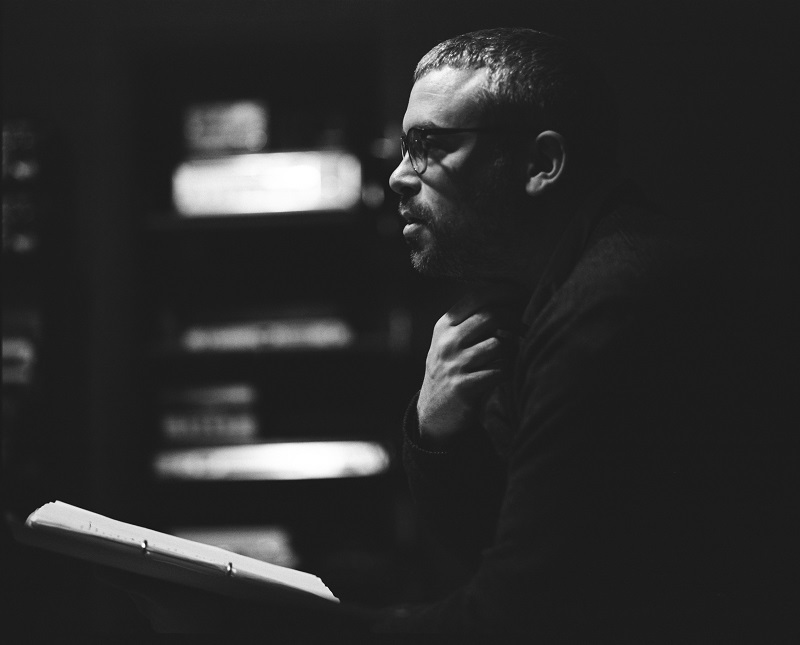 They see all the tracks as part of the collaboration and for Burns, the sound of the studio itself, that space, the room itself was part of the recording process. He sees the resonance of the wood in the room, the microphones and the still piano and guitars as being part of ‘the breath of the poem.’ More than words on paper, for him, it’s the sound. When I put it to them that it’s kind of like having John Cage’s 4’33” as the music on that track they both laugh. This is where the difference between the mystical hippy nonsense and this record lies. 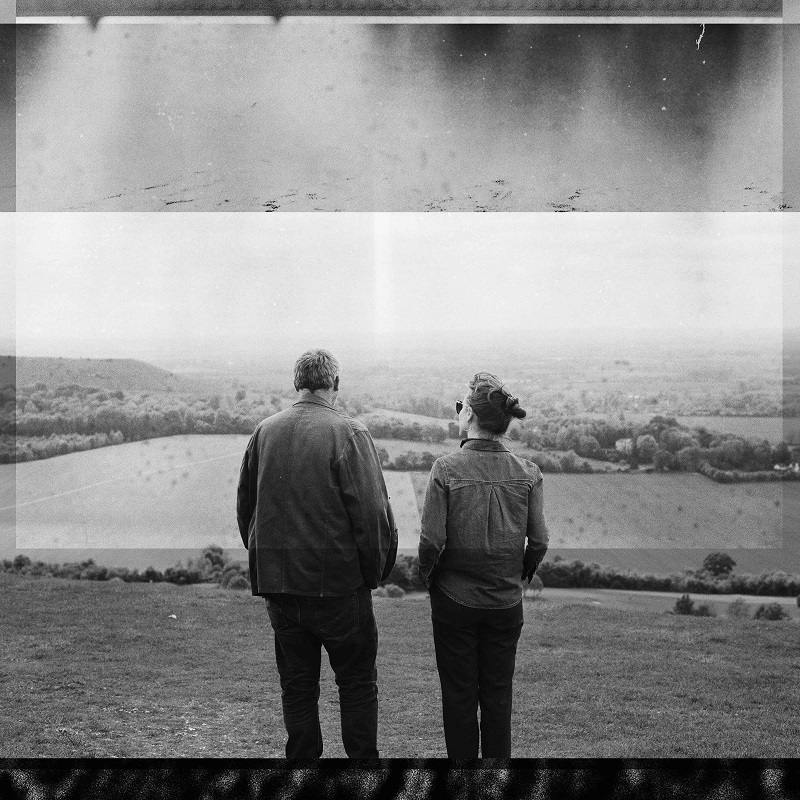 Will Burns and Hannah Peel have made something that connects directly with real lives lived in the here and now. There’s stories of early divorce and bad drinking, falling ill and being disconnected, of loss and despair, death and absence, memory and echoes. I mention that the words and music are hard and pragmatic with a grittiness that’s embedded right throughout the album. They both agree that’s how it turned out for them. An unexpected surprise. There’s quiet interludes of ambient tones and deeply intense, atonal and percussive hard electronics which shock just as much as the words. This is not what was anticipated and that makes it all the much more exciting and vital. Every time I listen to it, then it sounds different. Things move in and out of focus, ever-changing. It’s a record that while recorded in a few short studio sessions, gestated as Burns and Peel walked through the chalk heaths of Buckinghamshire where Burns lives. They looked beyond what is on the face of it, intensive agriculture, lookalike market towns, golf courses and ever-present four-wheel drive cars to summon up not what is rose-tinted nostalgia for an imagined past but a place where lives are lived in the world, here and now. It’s not a pastoral record by any stretch of the imagination although it speaks of long dusty walks and early mornings before the sun has risen, snow by the river bank and egrets flying from Russia. I wonder what came first, the words or the music? How much was inspired by those walks? What was improvised and what had been worked on in advance? ‘All the music was improvised in the studio,’ explains Hannah, ‘Although Will turned up with a whole sheaf of words! Pages and pages! From the very beginning the tone in the room simply worked. It just sparked. Every time I played a phrase on the piano, Will would say “Oh my God, I’ve got a poem for that!” We would listen to it together and we would build the tracks in the room together. That’s how it was improvised. Will would read a poem and I would play the music or Erland would say with this music it would work just right with that space echo or tape machine. It was just very natural and most records are not made like that. It not the usual way you record. For Burns it was a liberating and exciting project as well. ‘The poems turned out to be not just words that lived on the page, but things that breathed.’ He explains that that the poet Alice Oswald speaks of poems being living things, ever-changing and not fixed and with Chalk Hill Blue that’s how it turned out. Although the poems had been written over a few years, for Burns, bringing them together with Peel’s music in the studio gave them a three-dimensional quality, something tangible and something that could be grasped rather than being flat words on a page. This is something that they are both looking forward to -albeit somewhat apprehensively- when they present them in a live setting. Burns sees music embracing chance and happy accident and improvisation whereas literature and poetry does not. 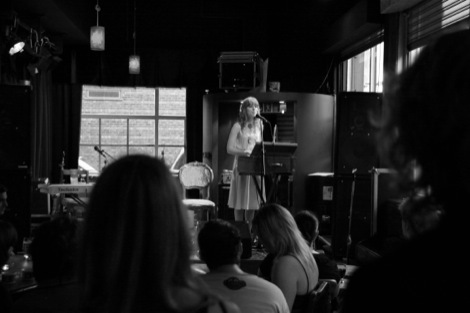 Peel laughs when I suggest that it would be ridiculous to see anyone at a gig reading a musical score, yet for a poetry reading then it wouldn’t be a surprise to see anyone reading along. As for Will Burns he says it will be so far removed from anything he done before that he doesn’t really know what to expect, but like Hannah Peel but he knows it will be something unique. And that’s the thing. This is unique music and unique art. It’s something which may well change how you listen to all music, read literature and see art in a wider sense from now on in. Isn’t that what it’s all about? The endless range of possibilities.